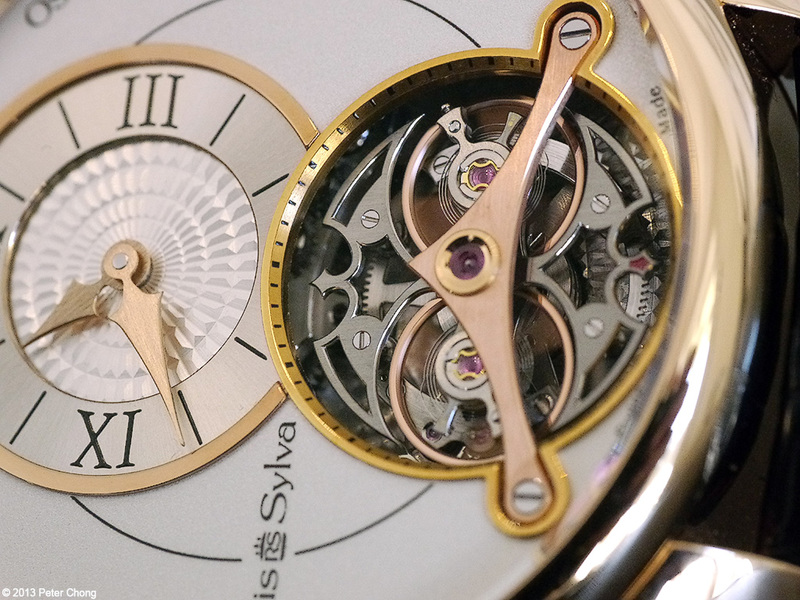 I was introduced to this small independent brand...Rudis Sylva some years ago by none other than the Grand Master of Watchmaking Philippe Dufour...during BaselWorld, he caught hold of me, and introduced me to Jacky Epitaux - the prime motivator behind the brand. Please note the two watches photographed here are display units used for all demonstration purposes, and I did not have time to properly clean the watches before photography. The shots done with the Hasselblad H3D-39 show the effects of this wear and tear clearer than the shots taken with the GH-2. Tribute to higher resolution of the digital back and superior lens of the Hasselblad. 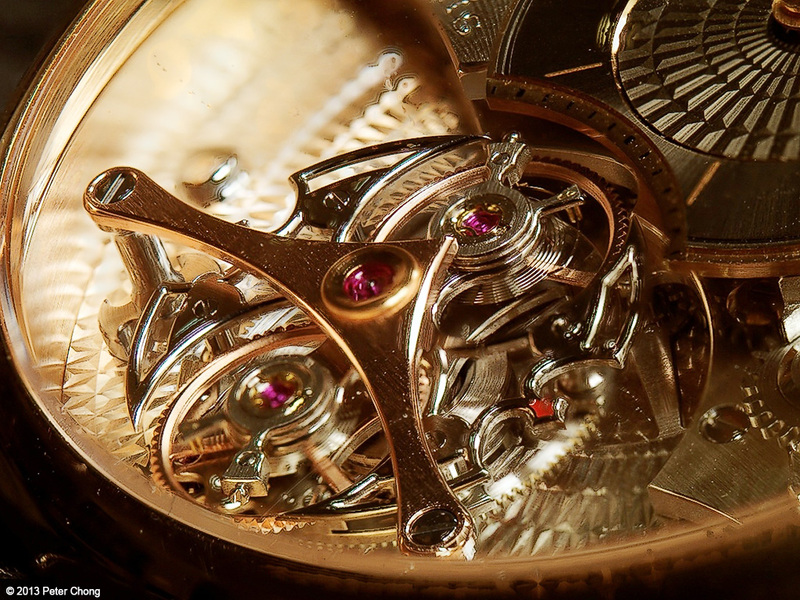 Jacky and team are totally committed to traditional watchmaking techniques, the watch now in its second generation, is called the Harmonious Generator...using a unique way of carrying two coupled balance wheels driven by a single escapement. 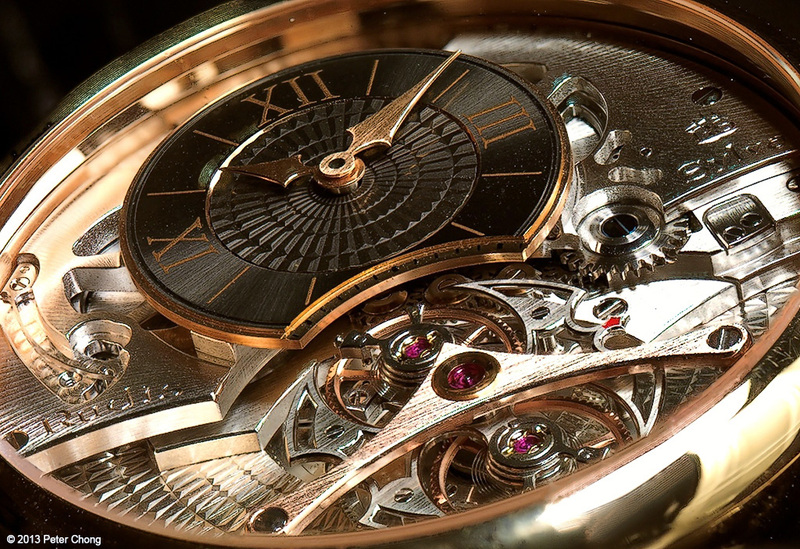 But it is not only this innovative method to balance out gravitational forces on a balance which makes this watch interesting, but also the finishing and attention to detail. 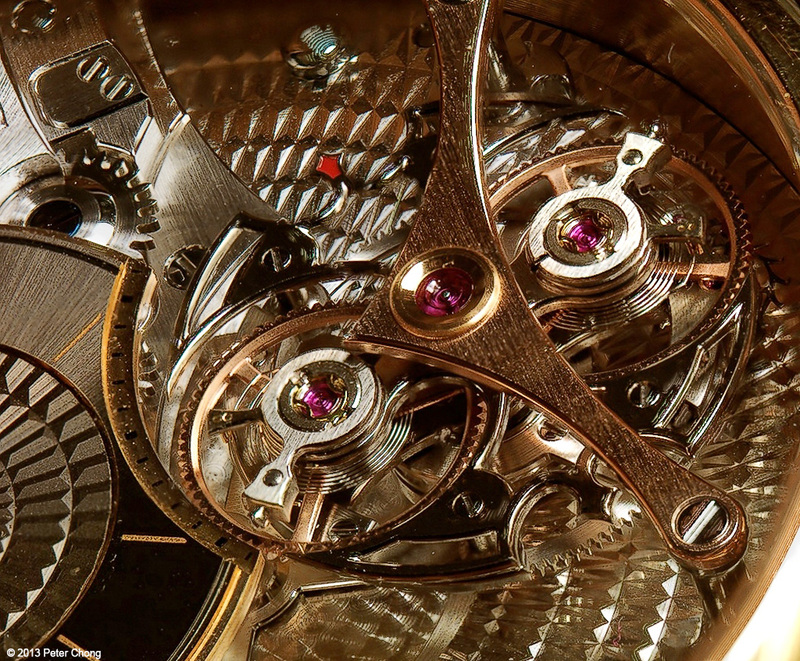 Each traditional artform in the construction of movements - bevelling, guilloche, engraving, enamelling are performed by cottage industry specialists, and executed to near perfection. The finish is quite impeccable. Beautiful and breathtaking. The watch is rather large 44mm diameter, and some 15mm height of the case. The bridges on the Harmonious Generator looks like it has the motif of Batman! 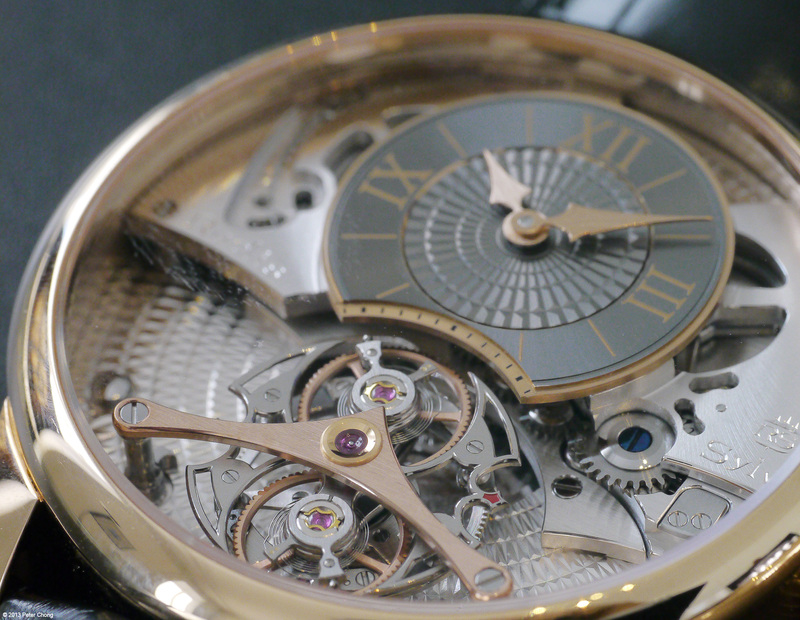 I agree that this is a well executed and well finished movement - one can only achieve that through hand finishing of the highest quality. A very impressive timepiece indeed and thanks for introducing this brand.